Luxury Travel Ltd., the pioneer of luxury travel services in Vietnam proudly announces that it has received 2018 TripAdvisor Certificate of Excellence Award. It is the fourth consecutive year that the company has won this recognition. The company is very proud of this achievement, because, according to the TripAdvisor website, only 10% of the businesses listed receive this prestigious award. Luxury Travel Ltd. was founded in 2004 by Mr. Pham Ha, a passionate traveler, and an entrepreneur. As an enthusiast of art, writing, history, and culture, Mr. Pham Ha believes in designing tailor-made tours with an immersive approach to experiencing new destinations. They were the very first luxury tour operator and DMC in Vietnam. They operate with confidence from their 14 years of experiences and solid partnerships fulfilling the most sophisticated clients. This privileged accolade from TripAdvisor, which honors performance in hospitality and excellence, is given only to businesses that achieve outstanding traveler reviews, have responsive owners and provide a positive traveler experience. The company has received this award proving that it has dedicated and integrated services for its traveler. Luxury Travel Ltd. was founded with the idea of creating a travel company with an emphasis on ultra-luxurious experiences. The company were the very first luxury tour operator and DMC in Vietnam with the head office in Hanoi. 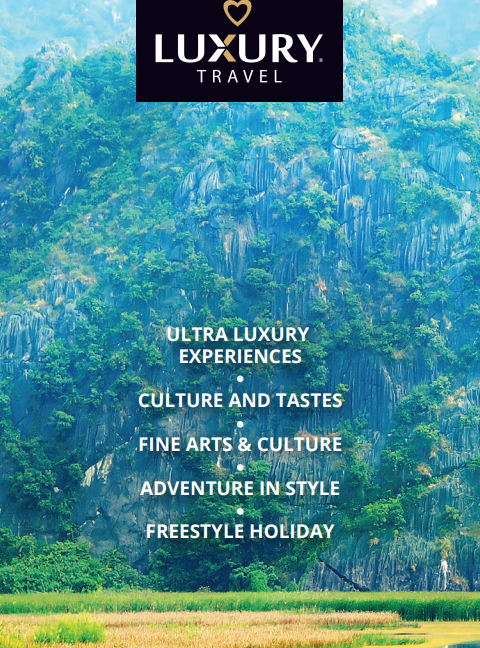 As the first high-end tour operator in the luxury tourism industry in Vietnam, the company strives to provide top-notch luxury services in Vietnam and rest of Indochina that can complement the travel desires of the most discerning travelers of today’s date. For more information about Luxury Travel Ltd, its products, and services, you can contact us here.